Tourists from every continent travel to Seaside to enjoy its beautiful beaches, award-winning architecture, diverse restaurants, and array of cultural and sports events. Designed by small-town planning pioneers Andr 1/2s Duany and Elizabeth Plater-Zyberk, Seaside boasts work from renowned architects such as Leon Krier and Walter Chatham. Even England's Prince of Wales has called Seaside a model of humane urban planning. This small community was founded in 1980 on a remote eighty acres near the town of Seagrove Beach along Florida's northwest Gulf coast. Through his close friendship with Seaside founder Robert Davis, writer and photographer Steven Brooke gained unique insight into the thinking and planning that gave birth to Seaside, a community constructed on the belief that "our lives are unalterably affected by our architectural surroundings." With nearly two hundred lush color photographs, Brooke takes the reader from the earliest pioneer stages of the town, with its dirt streets and scrub landscape, to its development as an emerging cultural and intellectual center. In Seaside, we view the town from the first tin-roofed cottages to streets and boulevards of award-winning houses and public buildings. 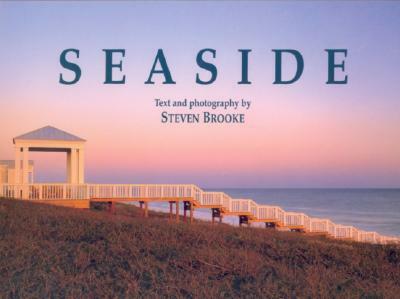 Brooke's text includes a discussion of the architectural elements that compose the Florida style and elaborates on the widely hailed urban design principles in effect at Seaside. This is the guide to the town of Seaside, complete with maps, walking tours, aerial views, and a look inside some of Seaside's most beautifully decorated homes. Brooke's images, which celebrate both the town's architecture and spirit, contribute to Seaside's fame--a small town that influenced architecture throughout the world.